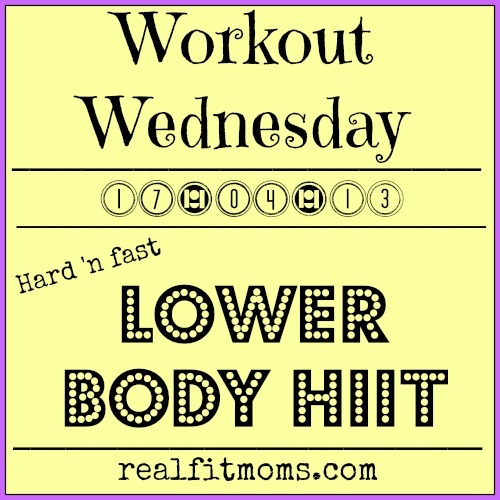 OK, so today we are doing a hard and fast lower body HIIT workout. When I say fast I mean fast. It’s just 6 exercises followed by 1 minute of (active) rest . . . then we repeat it through twice more for a total of 3 sets. I got this workout done in under 20 minutes and that included a warm up and cool down stretch. Remember the thing about a HIIT workout is that you need to give it everything you’ve got. It’s a shorter workout remember, You. Can. Do. It! The benefits are totally worth the burn. 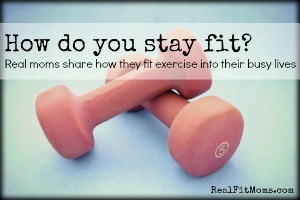 Increased cardiovascular fitness, and revved up metabolism . . . ahh yes please. Like I said, totally worth it right?! No equipment, no excuses. Just get in and get it done. I’m not gonna lie though, this is a tough one. When I say hard and fast, I mean it. Each circuit took me about 3 1/2 minutes to complete, followed by 1 minute rest. Quality not quantity here, people. Make. It. Count. 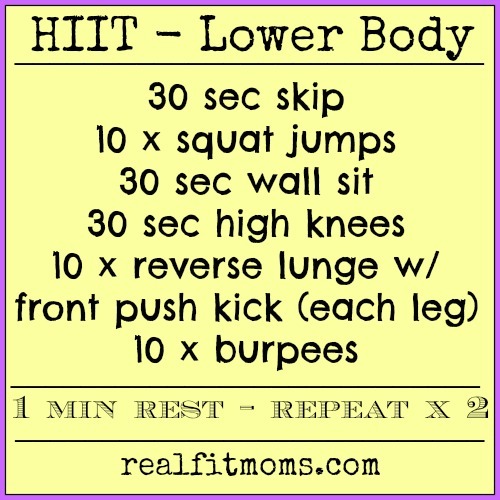 So, why not kick start your day with this killer lower body HIIT, get the heart rate pumpin’, metabolism kicked into over drive. Feel the burn, baby! Like I said, we are going to perform each exercise with as much intensity as you can muster then take a one minute, well earned rest once all exercises have been completed once. Here’s the catch though, you must remain active. Slowly walk around the room, grab a drink of water, pat yourself on the back, anything . . . just keep moving. Let your heart rate come down a little but don’t stop moving, OK? Then we repeat the entire routine through twice more for a total of 3 sets! Finish with a nice little cool down, maybe take a slow walk or something, anything to help bring the heart rate down. Finish with few stretches. Boom! Crushed it! Nice work! What’s your fave post workout cool down/stretch? I too am an aspiring blog writer but I’m still new to the whole thing. Do you have any helpful hints for inexperienced blog writers? I’d really appreciate it.